More New Zealanders in provincial regions of the North and South Islands will be able to access RNZ National audio and video services following RNZ’s successful launch of Checkpoint with John Campbell. An extension to existing Freeview HD services has been approved after a positive public response to the new Checkpoint programme which launched one month ago today. More than 400,000 people living in Whangarei, Rotorua, Taupo, Taranaki, Whanganui, Gisborne, Wairarapa, Nelson, Timaru and Invercargill will have RNZ Freeview HD services available from today. 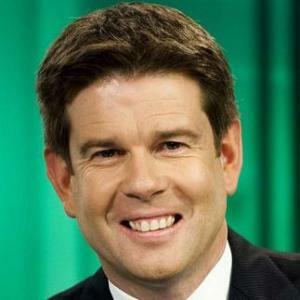 The new-format Checkpoint with John Campbell is a 90 minute programme, airing weekdays from 5-6.30pm, on RNZ National. The show is broadcast live on radio, and those keen to see behind the scenes can watch live on the RNZ website or, in most centres, on Freeview HD channel 50. RNZ Head of Content, Carol Hirschfeld emphasised the importance of the new programme and the positive response it has received since the launch. "RNZ is now leading the way on genuine media convergence with the Checkpoint programme. John Campbell’s live streaming for two hours from the TPPA protest march in Auckland was truly ground breaking stuff. The launch of the new Checkpoint has been very positively received by our audience which is a huge tribute to the production team and the technical staff behind the scenes." RNZ National is available on the RNZ mobile app for iPhone or Android, or via the RNZ Website. It is available on the Sky Digital network on channel 421. Go to Checkpoint on the RNZ website or tune in to Freeview HD channel 50 for live footage of the programme as it is broadcast.